The association between animation and kids is strong. Many of us grow up watching cartoons for entertainment, and some of us were sat in front of the TV as youngsters for the mildly reviled ‘educational cartoons’. But the uses of animation for education are far more wide-reaching and a lot more entertaining than many realise, finding modern applications within work, hobbies, and new technologies, while still holding the power to teach much younger audiences the basics of life. It’s easy to think only of self-contained videos when thinking of the word ‘animation’. But in actual fact some of the most powerful uses of animated media are occurring within smaller, interactive spaces. The early 2000’s saw the rise of experimental flash games, and the later 2000’s saw flash animated ads (somewhat infamously) take the online stage. Nowadays we’re seeing more of a lean toward user friendliness and ease of experience, especially within mobile apps, resulting in an upswing of desire for visually simple yet engaging graphics to guide the way of new users. Mindfulness and meditation app Headspace uses swipeable screens with a stylised graphic character and a very minimal amount of text to welcome brand new users into the idea of meditation before offering the guided audio. A short animated video also accompanies many of the welcome screens to further illustrate mindfulness techniques. Undoubtedly one of the most powerful aspects of the internet is the vast amount of information available, allowing people around the world to encounter new ideas, skills and information simply from watching a quick youtube video. With such a vast amount of material out there it can be easy to reach information overload, which is why animation is a great aid in visualising (and helping the memory to retain) this information. Some videos provide a brief information spot as a gateway to learning about a wider topic, like this animation about the life cycle of an Australian bank note (https://www.explanimate.com.au/project/rba/). Some videos aim to explain well-known concepts in layman’s terms, like these philosophical ’60 Second Adventures In Thought’ (https://www.youtube.com/watch?v=5zVaFjSxAZs). Others explore new ideas and make connections for discussion, like this animated explainer of Bill Maher’s essay on the Superbowl’s relation to socialism (https://www.youtube.com/watch?v=bNbMPz5CPY8). The advantage of animation in all these examples is the focussed visualisation of the audio track, helping to emphasise key words and ideas without the distraction of complex backgrounds and background characters. Whether in workplace training videos or hobbyist youtube tutorials, animation has an important place in being able to demonstrate what live-action physically or financially cannot. Medical, aviation, space, engineering and mechanical fields contain technical inner workings which can often be totally unviable to film. The inner workings of a mechanical system or an internal physical response, for example, are easier to depict with animation than capture with a camera, but can be crucial to understand visually. Animation offers the additional benefit of easily adding symbols and annotations which can clarify the process: rotating arrows animating the direction a valve needs to be turned, for example, or coloured hotspots showing how different jet streams will affect a flight time. Bright colours. Bright primary colours are very effective in catching the attention of small children. Because their eyes aren’t yet fully developed, the contrasting colours are easier to distinguish than subtle pastels or muted beige colours. Bright colours are very easy to produce in digital animation, whether it’s the block colours of 2D or the shiny 3D shapes of CGI. This is why often we see a big emphasis on blues, reds, and yellows in pre-school media. Repetition. Repetition is a crucial element of childhood learning and development, teaching children to practice, retain and master skills and knowledge. Animation as a labour-intensive medium has always made great use of repetition, with even classic Disney films reusing animated sequences to save time. In the early days of Blue’s Clues – a pre-schooler’s show with a repetitive structure by nature – Nickelodeon would repeat the same episode every day each week to take advantage of the target audience’s love of repetition. This was a recipe for success, with research showing that viewer’s engagement (and ratings) increased with repeated viewings. Different learning styles: Children learn in different ways and at different speeds. Video media offers the opportunity for learning in both visual and aural ways, while some early childhood animation also offers a level of kinesthetic learning by asking for a call-and-response style of interaction from the viewer (Dora The Explorer comes to mind). The animator/director has a number of responsibilities for an animation to be effective in educating an audience, no matter the age. For effective learning the animation needs to visually highlight the most relevant information. A good understanding of the elements of design is necessary here to manipulate (in a good way) the eye of the viewer into spotting, and mentally processing, the right visual cues. Along these lines it’s also necessary not to go too fast, not to overwhelm the viewer, and not to overcomplicate the visuals. 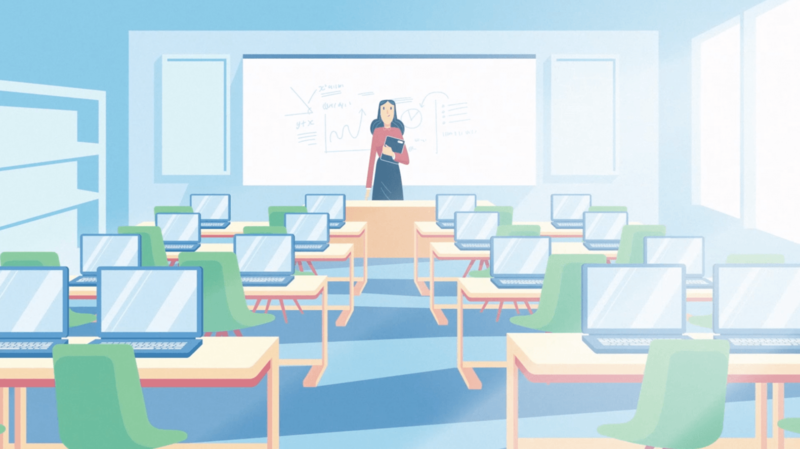 The goal with educational animation is strong comprehension, and with a professional understanding of how design, movement, and sound affect an audience, this goal is well within reach. — PREVIOUS POSTShould I Use Fiverr For Explainer Videos?